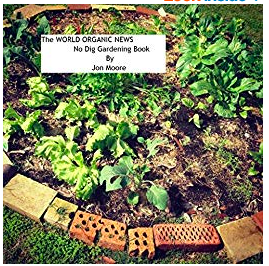 This is the World Organic News for the week ending the 11th of February 2019. We begin this week with a couple of stories. One of loss and devastation and one of apparent mind changes which illustrates that we might be waking up from sleepwalking into climate change disaster. The first is from the ABC in Australia entitled: Queensland floods have likely killed hundreds of thousands of cattle, farmers facing ‘catastrophic’ losses. These floods are west of the ranges in what’s called the channel country. Eventually all the water out there heads towards but doesn’t always make Lake Eyre. The last big flood in this area was back in 1974. This flood is a metre and more above that mark. Two weeks ago the farmers living in the area were crying out for rain. The drought there had been prolonged, even by Australian standards and now individuals have lost the last of their stock. The process during a drought is to cull down to your best animals. Hand feed them and hope to breed up after the rains arrive. Across vast parts of Queensland there are now only dead animals. To give some idea of land sizes for our American listeners, the State of Queensland is about two and half times the size of Texas and an are or about half the size of Texas is underwater. Now this flooding came suddenly, as I say, following years of drought. Tropical monsoons and bare soils are not a healthy combination. The photos in the article are quite confronting. Bloated carcases and the mud that comes with flooding. There’s the usual cash from government in a crisis and a mob called Rural Aid is running semis of fodder to the area. The army is then dropping the fodder from choppers as the ground is still too wet for vehicles and for the stock too. The after flood death toll amongst livestock is likely to be almost as high as that caused by the flooding. There’s nowhere for stock to lie down, their feet and hocks are in mud. The country, if not the world, will look with sympathy before the next big story. The people on the ground will do what they have to as they always have. This Summer of heat waves, bush fires and now floods after two similar Summers has brought the majority, if it were ever a minority, of the population to conclusion that all these odd weather events are probably related to climate change. Who’d have thunk it? The curious other thing that’s occurring across this wild brown land is a series of elections. A quick bit of background. As in the US of A, the further to the right on the political spectrum a party or individual politician is the more likely he, and it is usually a he, he is to claim climate change is a hippy/communist conspiracy. The most far right of our three major parties is the National Party which is a humorous name given they used to be called the Country Party and represented wealthier farmers. That they now represent mining and agribusiness might explain their recalcitrance on Climate Change. You would think. We have an election happening in New South Wales in March and a Federal election some time before May and this seems to have awoken some in the Nationals and I suspect across the political spectrum. We live in interesting times. That a Nationals member could say out loud, on the record, he thought climate change was real is a thing almost beyond belief but there you have it. Now all we have to do is convince them of the benefits of regenerative agriculture and that’s game, set and match. I can close down the website and the podcast because the world has been put to rights. There seems to be some hope. It is only once people admit the problem we can come together and fix it. One Nationals member does not make a Summer but it does represent the first crack in the dam wall of ignorance and monied politics. It is not just in the antipodes that the obvious is coming into plain sight. From the blog Deep Agroecology comes the piece: Extreme Weather & Food Shocks Compel Climate-Emergency Plans. These once in a thousand year events keeping racking up in a most peculiar way. I guess if we get them out of the way at the start of the millennium then the rest of the 1000 years should be a doddle. We can add on the forest fires and droughts of the last European Summer and the droughts, bushfires and floods in Australia and clearly there’s a need to do something. McFadden refers to the Club of Rome Climate Emergency Plan and I know the words “club of Rome.” will only confirm for some people the left wing, socialist, new world order conspiracy ideas but I’m really past caring about that. I’ll advocate for whatever works, I’ve been involved through employment within a few large organisations and the bigger the organisation, the more incompetent it is. Running a global conspiracy is, to my mind, an impossibility but that probably just shows I’m in on it. Having actually read the Climate Emergency Plan, it seems to be a reasonable approach to the problem. You can follow the link in the show notes. Indeed I would encourage you to do so. I would also encourage you to read the Deep Agroecology blog, Steven has some really interesting material there. ‹ Previous154. Agroecology in Senegal and New Hope From Old Ideas.